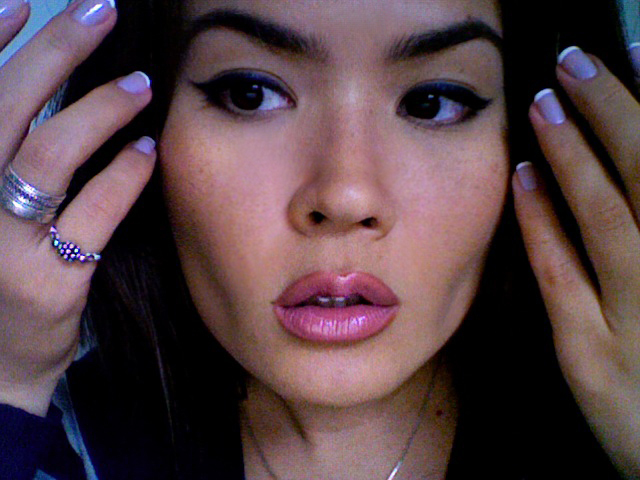 ABOUT THE LOOK (: Heavy navy blue winged liner on top, brown shading on the bottom, balanced with my favorite hard-to-describe lipstic--Rimmel Airy Fairy. 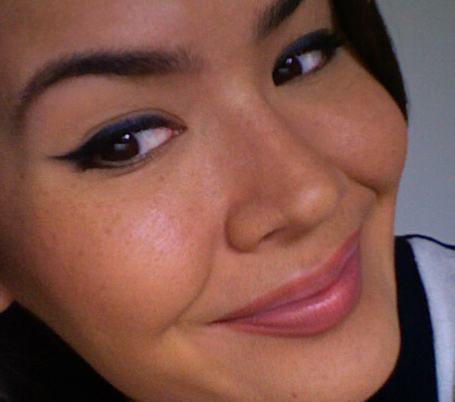 I like wearing heavy liner in the rain, it makes me feel windy and bluesy... catch my drift? TO ACHIEVE: Start by priming the lid, just up to the crease and below the bottom lashline. Take a navy blue pencil liner and line the top lid, starting at the outer corner. I do this sometimes to exaggerate a cat eye. Take a smudger brush (a dense short haired flat brush) and smudge out the line, using a bit of shadow in the same navy color. 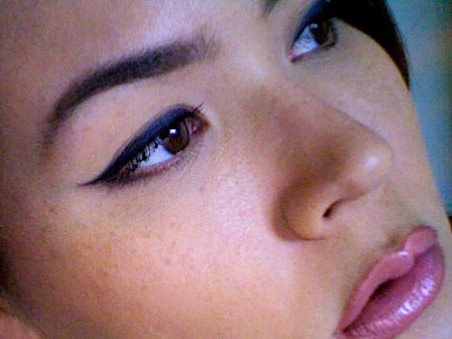 Using shadow to smudge the liner helps to lock in the color. Take a brown waterproof liner and line under the bottom lash line, stopping had way in. I find that navy blue and brown create the most unusual effect and really play up brown eyes. For extra contrast, take a black liquid or gel liner on a brush and draw a thin black line on top of the navy blue, staying very close to the lashes. 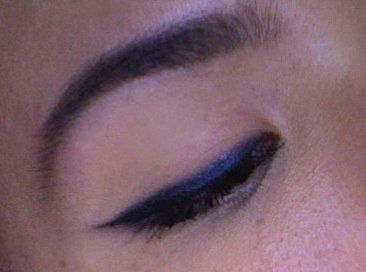 This will "outline" the blue liner, making it appear even more vibrant. Finish with a coat or two of your favorite mascara to your top lashes. Turning my frown upside down and FIXing MY FACE!!! YEA!!! 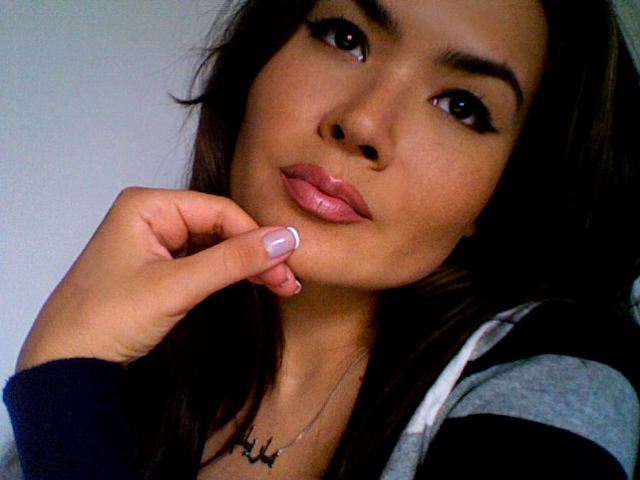 Airy Fairy by Rimmel is an amazing lipstick! Step 1: Chop those nails to your desired length. I like to keep about a 2 mm tip for French. Step 6: Base--Duri Rejuvacote , the one and only!!! I chose a pale lavender (cuz it makes my hands look tan). 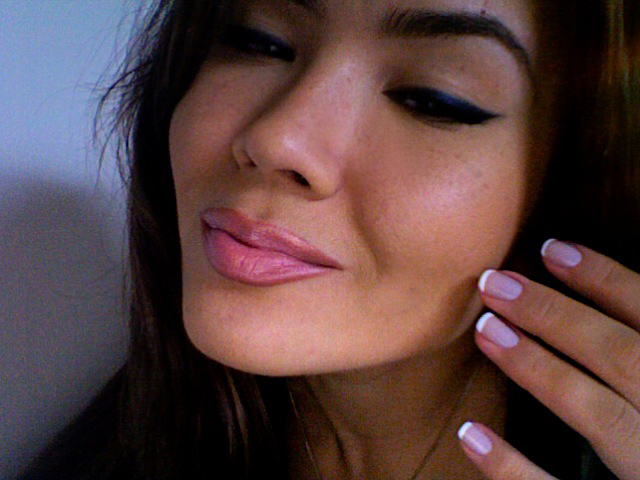 Step 8: The tips--for true French, keep them white. A tip for the tips: Try to line across the nail in one, steady sweep. Step 9: Top Coat--Duri Rejuvacote , the one and only!!! 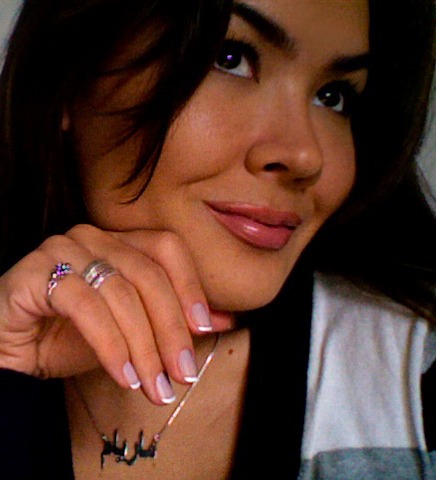 So, now that I've fixed my nails and face, I am ready for the world!! !